Decksaver LE - Pioneer DDJ-400. Light Edition: Still made from super durable polycarbonate but reaching you at a more affordable price. Precision moulded for an exact fit whilst accommodating cables your Pioneer can sit ready for operation. Decksaver - Pioneer, Denon or Xone 4-Channel Mixer. Fits standard 12" mixer. Designed to Hold Pioneer DJM-500, 600, 700, 750, 800, 850, Allen & Heath Xone-62, 92, 43, DB2, DB4, PX5, Denon DNX1100, 1600, 1700. Each Decksaver is custom moulded for a perfect fit whilst making allowances for cables, allowing the XDJ-700 to sit ready for operation. From Pacha and Space in Ibiza to Fabric and Ministry Of Sound in London, the constant you'll find is Decksaver. Decksaver - Pioneer XDJ-1000 Mk1 / Mk2. Designed to Hold Pioneer XDJ-1000 Mk1 / Mk2. Engineered specifically for the Pioneer XDJ-1000 Mk1/Mk2. The tough polycarbonate shell design is lightweight and impact resistant. 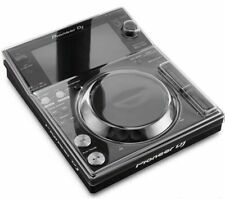 Decksaver - Pioneer DJM-S9. Designed and engineered specifically for the Pioneer DJM-S9 mixer. Designed to Hold Pioneer DJM-S9. Why people choose Bop DJ. BOP DJ Showrooms. Light Edition Cover. 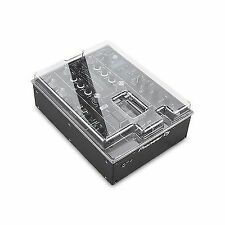 Each Decksaver is custom moulded for a perfect fit whilst making allowances for cables, allowing the DDJ-SB/RB to sit ready for operation. From Pacha and Space in Ibiza to Fabric and Ministry Of Sound in London, the constant you'll find is Decksaver. Why people choose Bop DJ. 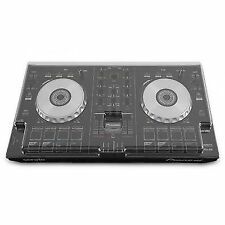 Decksaver Technics 1200 / 1210 / Pioneer PLX-1000 / Mixars LTA / STA. Mixars STA. Mixars LTA. 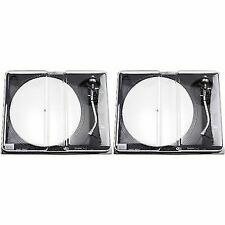 Designed to Hold Technics SL1200/1210 (any vers). Pioneer PLX-1000. Strong, attractive, protective cover for your turntable. Decksaver - Pioneer DDJ-RR & DDJ-SR2. Custom moulded to fit the contours of the Pioneer DDJ-SR2 and DDJ-RR. Designed for the Digital DJ. Why people choose Bop DJ. BOP DJ Showrooms. The item will be in 100% working condition. 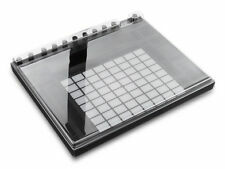 Decksaver - Ableton Push 2. Precision molded for an exact fit whilst accommodating cables, your Push 2 can sit ready for operation. Designed to Hold Ableton Push 2. Material Polycarbonate. Custom moulded to fit the contours of the NI Kontrol Z2. Designed for the Digital DJ. 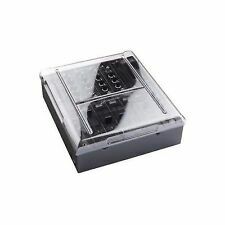 Slides straight into a mixer bag or flight case, ideal for the transportation. Decksaver - NI Kontrol Z2. Why people choose Bop DJ. 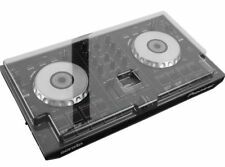 Decksaver - Pioneer DDJ-SZ / DDJ-SZ2 / DDJ-RZ. Custom moulded to fit the contours of the Pioneer DDJ-SZ/RZ/SZ2. Designed for the Digital DJ. 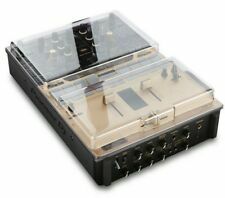 Designed to Hold Pioneer DDJ-SZ / DDJ-RZ / DDJ-SZ2. Smoked Clear appearance. 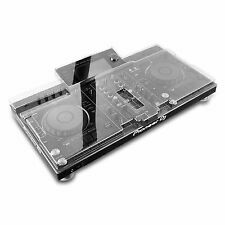 Pioneer CDJ-900 Nexus Decksaver CDJ Protective Hard Case Cover Smoked / Clear. Decksaver - Maschine Mk3. Price match. Price Match. BOP DJ Showrooms. 0% finance. 0% Finance. Why people choose Bop DJ. Material Polycarbonate plastic. 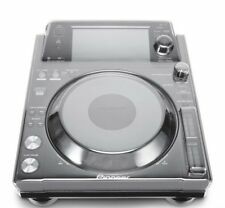 Decksaver - Pioneer DJM-900NXS2. Designed and engineered in the UK for the Pioneer DJM-900 NSX2 mixer. Precision moulded for an exact fit whilst accommodating cables, the DJM-900 NSX2 can sit ready for operation. Decksaver - Pioneer DDJ-RZX. 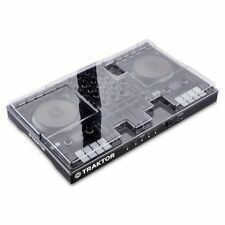 Designed to Hold Pioneer DDJ-RZX. Why people choose Bop DJ. Material Polycarbonate. Protects the platter, fader and knobs during transportation. Each Decksaver achieves the best fit, leaving cables in place. Decksaver - Pioneer CDJ-900 Nexus. 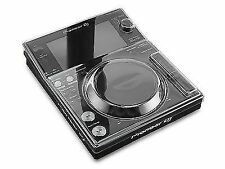 Designed to HoldPioneer CDJ 900 Nexus. Smoked Clear appearance. Easy to use, ready to move. Trusted by DJ's worldwide. Why people choose Bop DJ. Material Polycarbonate. Decksaver - Pioneer DJM-750Mk2. Designed and engineered in the UK for the Pioneer DJM-750Mk2 mixer. Precision moulded for an exact fit whilst accommodating cables, your DJM-750Mk2 can sit ready for operation. Decksaver - Pioneer DJM-450/250mk2. Designed and engineered in the UK for the Pioneer DJM-450/250mk2 mixer. Precision moulded for an exact fit whilst accommodating cables, your DJM-450 can sit ready for operation. Decksaver - Pioneer DDJ-1000. Custom moulded to fit the contours of the Pioneer DDJ-1000. Designed for the Digital DJ. Designed to Hold Pioneer DDJ-1000. Why people choose Bop DJ. BOP DJ Showrooms. Decksaver - Roland Juno-DS61. The tools we use to compose and perform music are dear to our hearts. Slides straight into a flight or soft case for maximum protection during transportation. Designed to Hold Roland Juno DS-61. Designed and engineered in the UK specifically for the Reloop RP7000 & 8000 turntables. Custom moulded from super durable polycarbonate and finished in a slick smoked/clear hue. Decksaver - Reloop RP7000/8000. Decksaver - Pioneer XDJ-RX2. Custom moulded to fit the contours of the Pioneer XDJ-RX2. Designed for the Digital DJ. 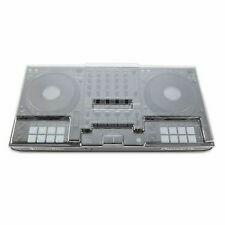 Designed to Hold Pioneer XDJ-RX2. Price match. Price Match. BOP DJ Showrooms. 0% finance. Each Decksaver is custom moulded for a perfect fit whilst making allowances for cables - the CDJ-2000 NXS2 can sit ready for operation. From Pacha NYC to Space Ibiza and back again, the constant you'll find is Decksaver. Decksaver - Moog SUB-37 & Little Phatty. The tools we use to compose and produce music are dear to our hearts. Slides straight into a flight or soft case for maximum protection during transportation. For DJM 900NXS2. to my Mac via USB which is on top of the mixer and so the cover will not go over. Designed to fit the Pioneer CDJ-900 Nexus. Deck saver covers are tailor-made to exacting standards to fit each unit like a glove. Rather than using cheaper inferior acrylic. each one is made from Polycarbonate - a very hardwearing plastic used in bullet proof glass - and made to fit your gear as closely as possible. Allen & Heath QU16 Cover. - Suitable for the Pro Allen & Heath QU16 - Protects your lens against dust, dirt, liquids and knocks. 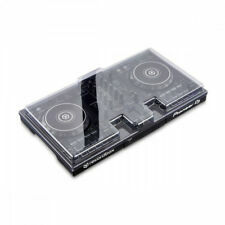 Decksaver - Pioneer DDJ-RR & DDJ-SR2. Custom moulded to fit the contours of the Pioneer DDJ-SR2 and DDJ-RR. Designed for the Digital DJ. 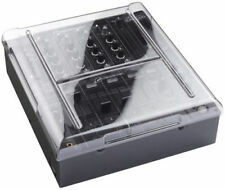 Designed to Hold Pioneer DDJ-RR/SR2. Why people choose Bop DJ.